My name is Hagay Hazan, a professional Software QA Manager experienced in building, managing and mentoring QA teams in multi-cultural technical environment. I hold a Master’s in Business and Bachelors in Information Systems. My background includes extensive experience in the full life cycle of software development process, software-testing process, quality processes and methodologies, automation tools research and development, proof of concept, design, implementation, execution, and maintenance I am proficient in QA processes and methodologies. I have developed automation frameworks using leading automation tools. 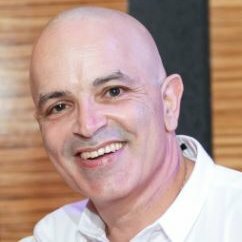 I am a certified Scrum Professional experienced in managing Scrum teams and testing software production in SaaS environment and led the release management process. I have gained experience in managing projects as well.